Staircases for great projects and privates: a new challenge for cnc manufacturing technology. 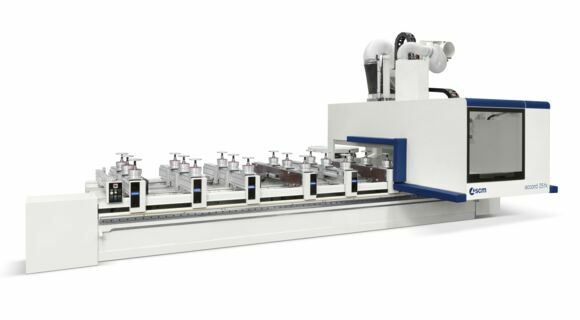 Gebrola optimises production and sales with the SCM CNC machining centre. Nevertheless the construction of stairs has become increasingly complex.That is why Gebrola has recently invested in a 5-axis Scm CNC machining centre and a software program for stairs, Staircon. This is an improvement not only for production. "Sales have also been boosted. " Martin and his two brothers created Gebrola (GeBroeders De Laat) in 1978, but in 1985 he took over the business with his wife Christianne Brinkmans, while keeping the original name of the company. Gebrola does not focus on only one type of staircase. 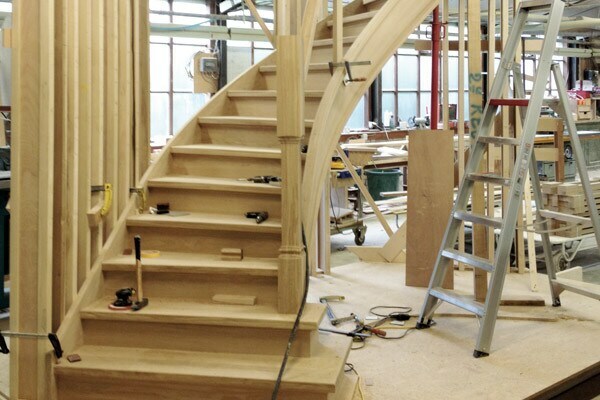 The company carries out bespoke projects in various materials and a wide range of styles of staircases from the sober to classic designs in exclusive wood. Gebrola considers complex projects, such as floating staircases or stairs against curved walls, as an extra challenge. “We build standard staircases and special ones and therefore have customers from all over the place. We shy away from nothing. If it can be done, we do it. This is also possible thanks to our staff, a mix of young and older employees. The more experienced professionals have excellent manual skills and sound know-how, whereas the younger ones are more skilled in CNC production. Gebrola builds 250 staircases per year. Professionals and turnkey companies account for 60% of these. De Laat: “They take all the measurements and give us the production and installation”. Private individuals account for 30% of staircases built. They find examples of Gebrola know-how in the 190 m2 showroom. The growing number of carpenters having their staircases built by Gebrola is also considerable. “Today, our business today has a very high capital coefficient. Numerous carpenters prefer to focus on the areas in which they excel. They leave stairbuilding to us. That's our strength”. Martin De Laat knows how important it is to stay up to date in this sector. - “In1995, we were the first carpentry business in Belgium to buy a CNC machine, a 3-axis machining centre by SCM, which we stiil use today". However, a change was due. Last summer, Gebrola purchased a new CNC machining centre Scm Accord 25 fx.